Tamilnadu State Road Transport Corporation operates bus services across length and breadth of Tamilnadu and Neighboring States. 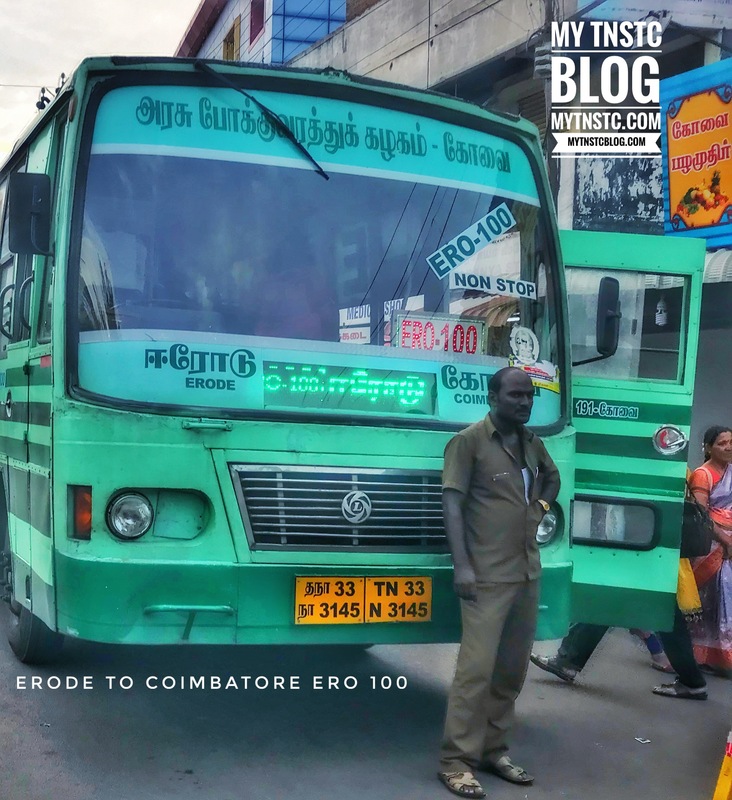 ERO 100 is non stop service operated from Coimbatore to Erode. The service is otherwise also know as 1 to 1 service but it’s better to be heard as ERO 100. The service starts from Central Bus Stand at Coimbatore to Bus Stand at Erode. The bus service is available 8:15 AM, 9:15 AM, 9:40 AM, 1:00 PM, 2:00 PM, 2:30 PM, 5:25 PM, 6:40 PM and 7:10 PM. Why not cbe will start this service? Now erd only doing. What about erode to Coimbatore timings?will be helpful if you mention that also.